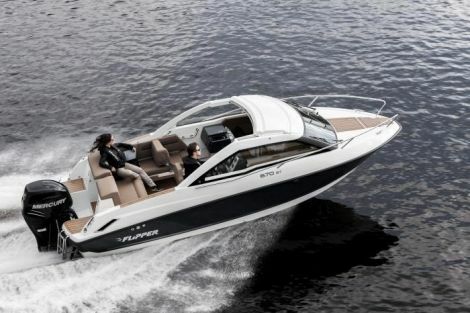 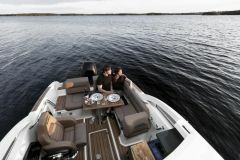 Great and versatile sport boat with spacious sunbathing area, foldable passenger seat, cockpit table. 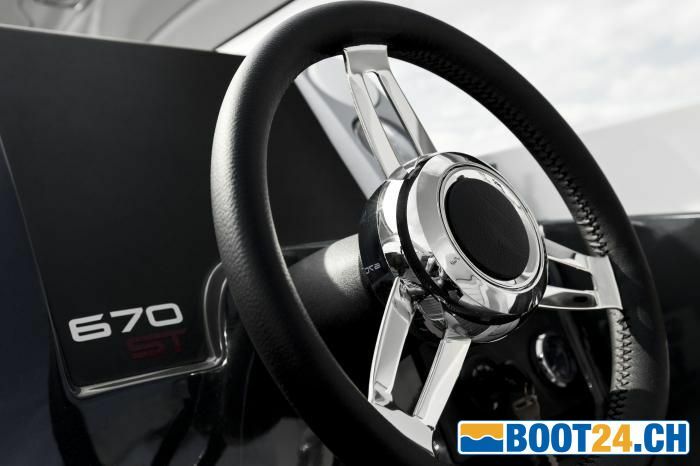 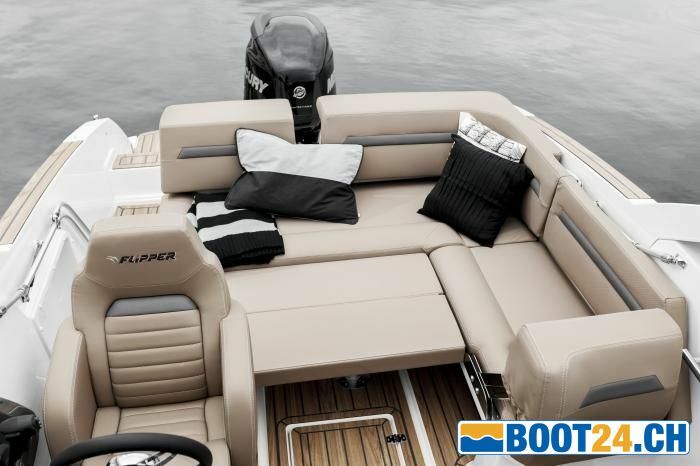 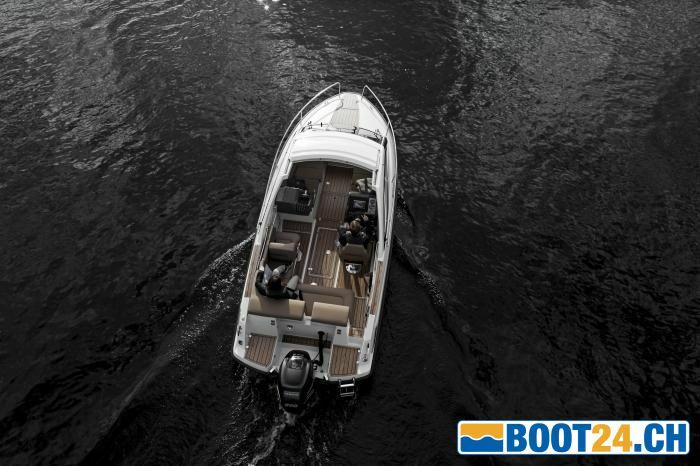 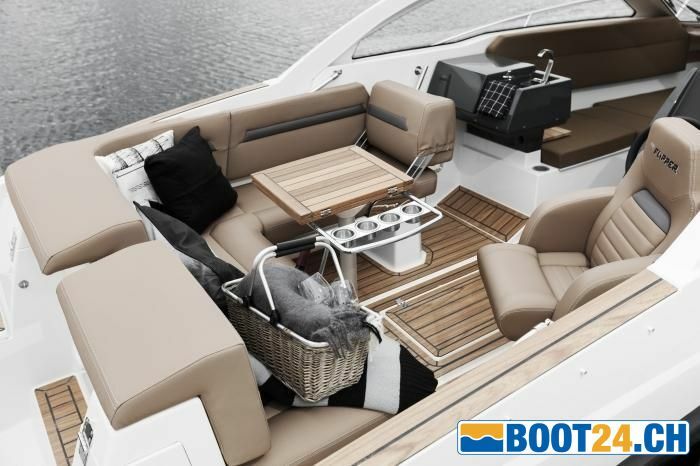 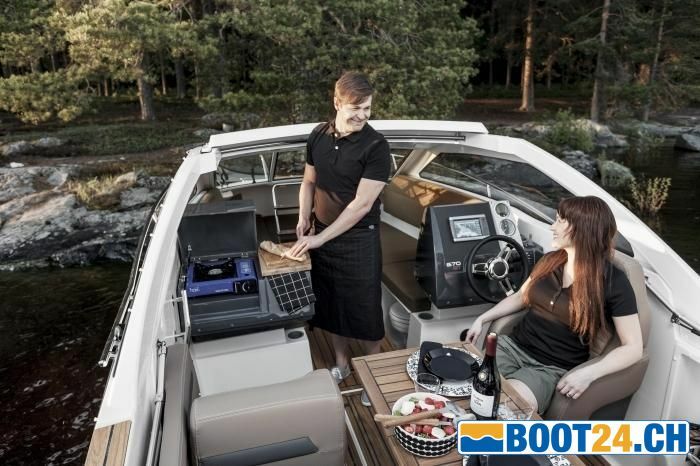 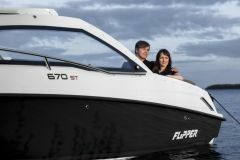 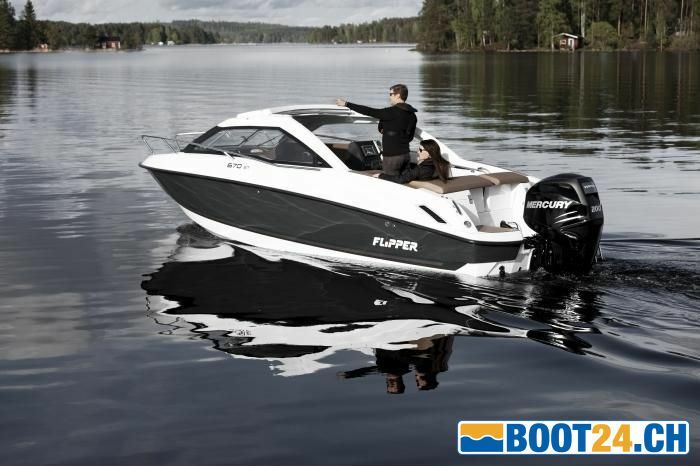 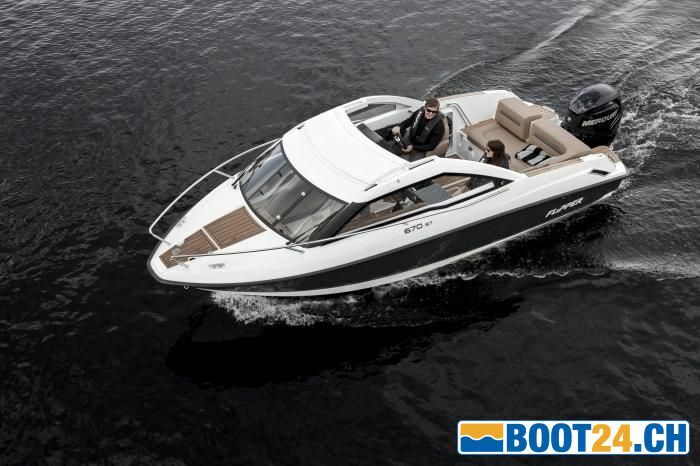 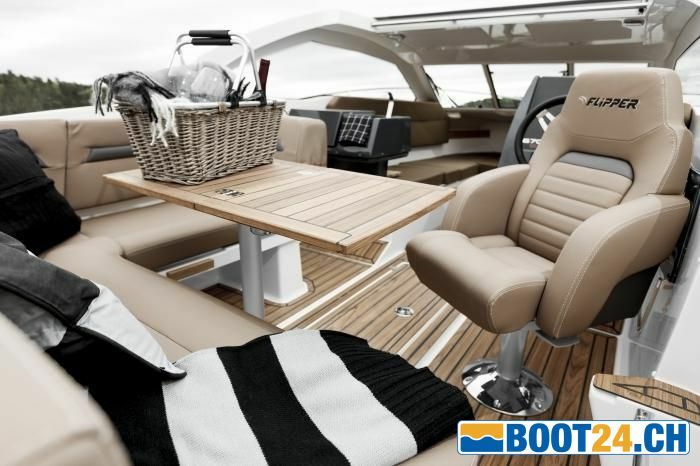 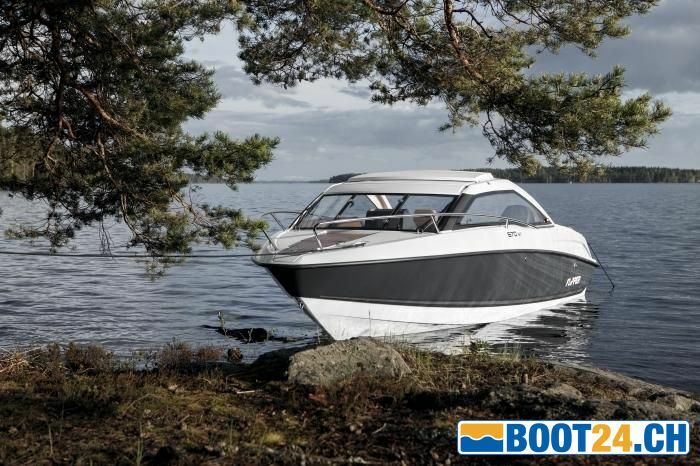 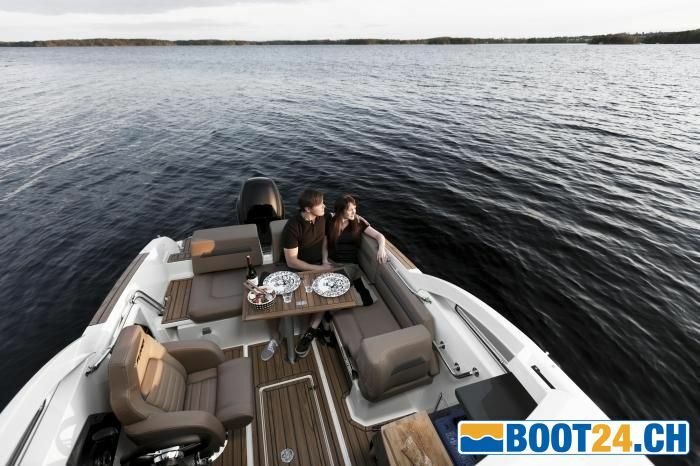 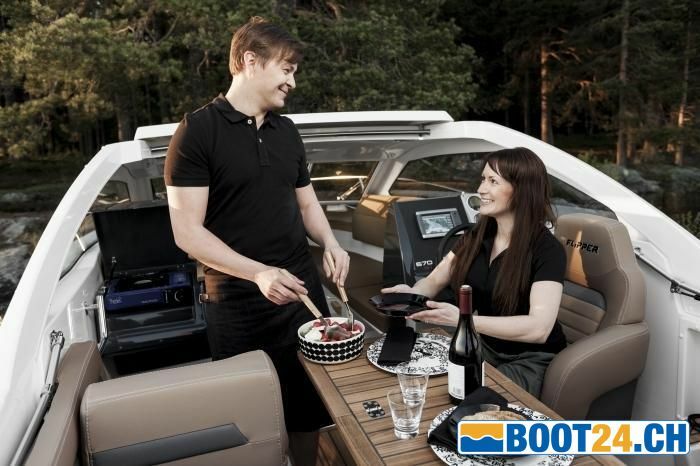 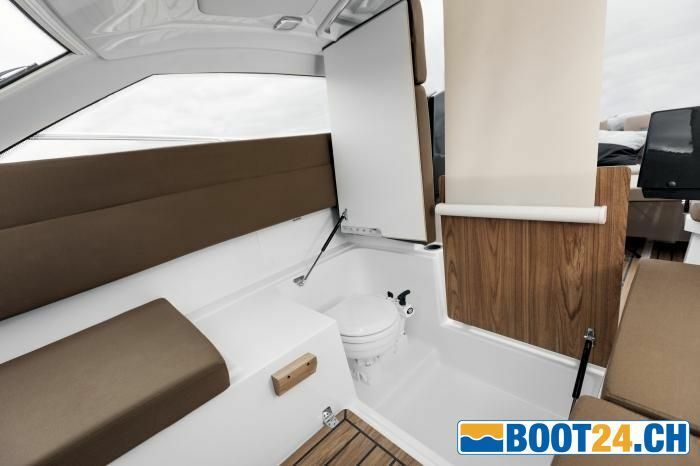 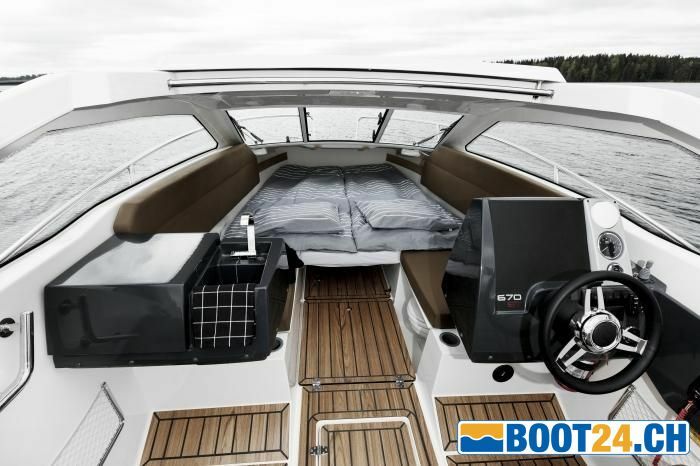 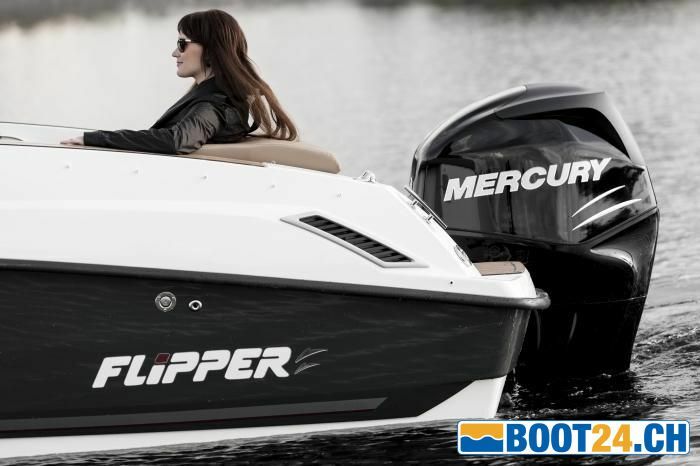 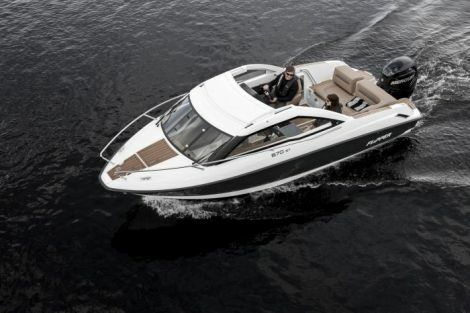 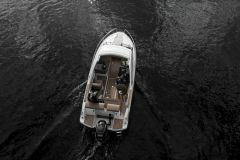 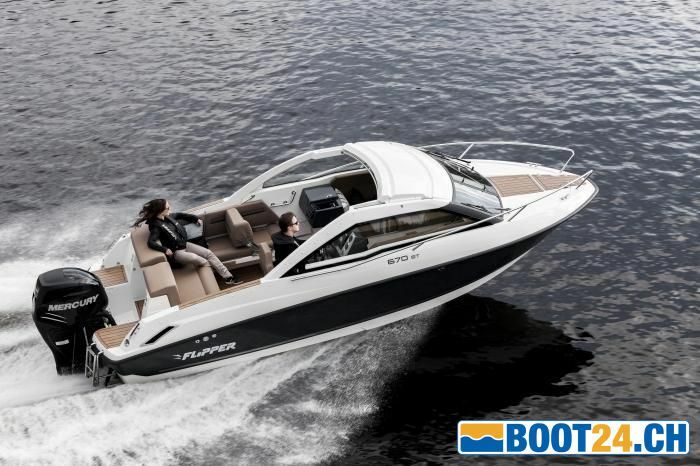 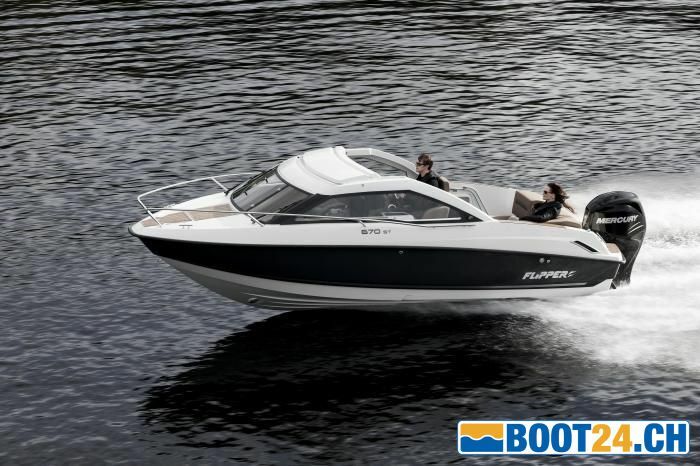 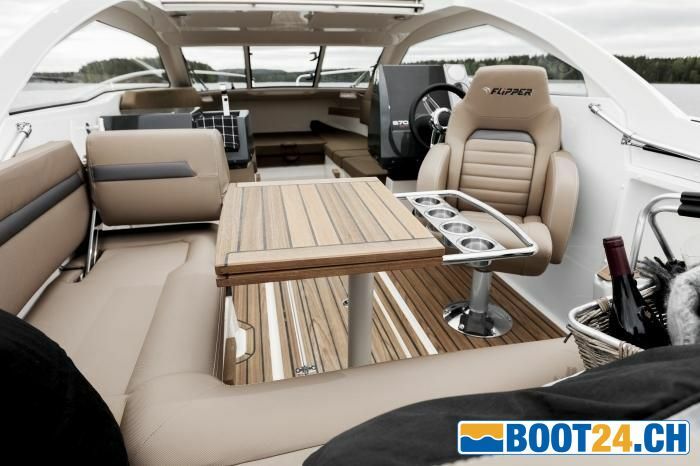 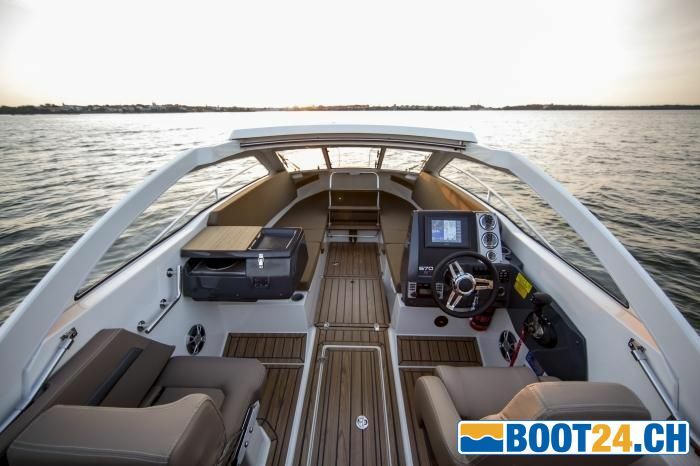 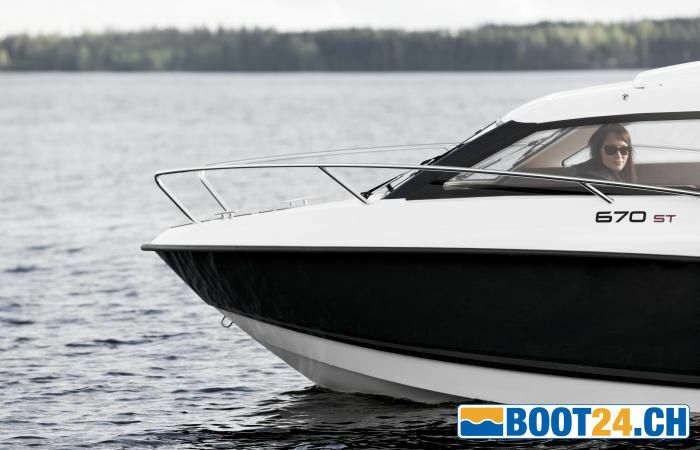 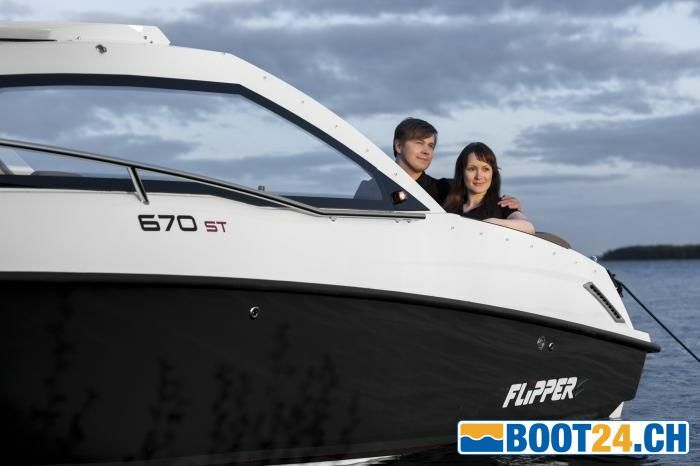 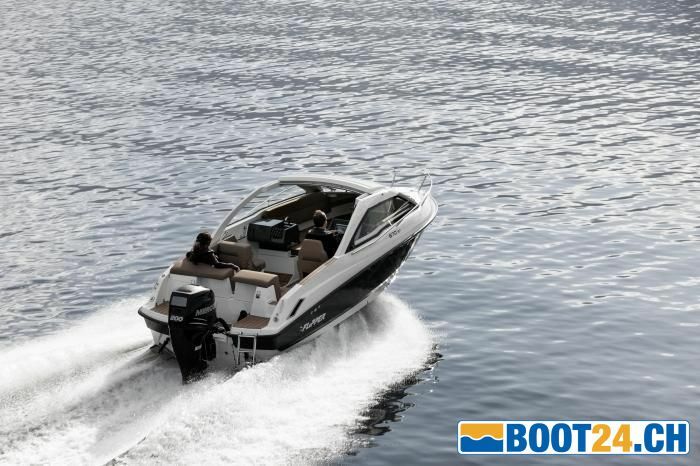 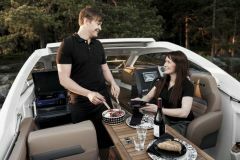 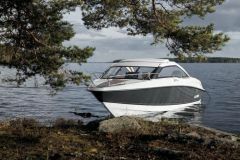 A real all-weather boat, the space available for the boot size is enormous! 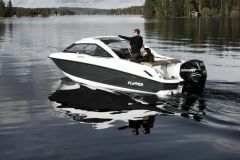 Motorizable of 100- 250 hp.